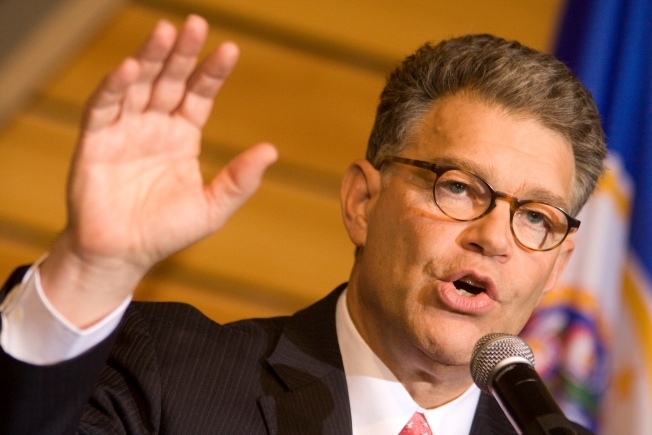 Former comedian Al Franken is behind Minnesota Sen. Norm Coleman by 239 votes and the state is moving toward a recount. The hotly contested and often nasty Minnesota Senate race is far from over. Just 239 votes separate challenger Al Franken (D) from incumbent Norm Coleman (R) and that number has triggered an automatic recount, per Minnesota state law. The recount is expected to run well into December. Minn. Secretary of State Mark Ritchie said he hopes to have the final tally by Dec. 19. Whether those results will conclude the recent round of national elections is unclear. Two other US Senate seats are still undecided. Embattled Alaska Senator Ted Stevens (R) is still waiting on the results of his race against Anchorage Mayor Mark Begich (D)---not to mention a sentence to go along with his felony conviction from last month. The Georgia senate race between incumbent Saxby Chambliss (R) and Jim Martin (D) is waiting for a runoff election. Democrats still hold out hope for a filibuster-proof majority in the Senate, but will not know the extent of thier power until the results are complete.